germ@namur: Jared Diamond: "Coping with change"
Jared Diamond came for the first time to Belgium on the 17th November 2008 to give a conference about societies’ strategies of survival and adaptation against major ecological issues. It was called "Coping with change". The conference took place in the Adam Smith auditory, at the University of Namur. 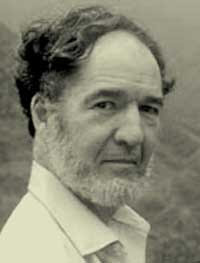 Jared Diamond, after having been a professor of physiology, teaches geography at the University of California, Los Angeles. On top of being the author of many scientific publications, he received the National Medal of Science in 1999. He wrote Guns, Germs, and Steel, which earned him the Pulitzer Prize 1998. He published Collapse in 2005, in which he discusses how certain civilizations, such as the ones from the Easter Island, the Mayas or the Vikings from Greenland, are the cause of their own ruin because of their action on the environment. Jared Diamond also studies societies such as Japan and Tikopia, who have survived despite environmental problems, and makes conclusions for our modern societies. He broached this theme during his conference in Namur. Jared Diamond seems to be a talented man with a brilliant career. He felt very comfortable in front of the audience and caught the people’s attention even though the speech was long and difficult to follow. He spoke for about an hour, but always with dynamism, liveliness and enthusiasm.